Specialty food sales are up by 12.9% this year, this means about two-thirds of consumers purchase the same type of food the Summer Fancy Foods show has available for viewing. Currently representing 3,500+ businesses, their vision is “Shape the Future of Food”. This tradeshow gets an edge on the latest industry trends that ultimately helps to guide and grow your business in the most convenient and cost-effective way. Along with specialty foods comes specialty packaging. After discovering what product will benefit your chosen consumers, the next step is giving your product excellent packaging to match. That is where our company, Virtual Packaging, is there to help. We produce quality mock ups customized to your liking down to the package design, material, shape, size, color, and more. With specialty food outlets growing at such a fast rate, you will want to be sure to check us out! Who knows, your product and our packaging may win you a Summer Fancy Foods show award, which could ultimately supply your business with increased sales, trade promotions, soft branding rights, and profitable ongoing exposure. We will be at booth #2069, we hope to see you there! 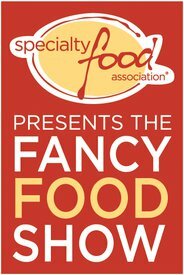 Summer Fancy Foods will be held June 30th -July 2nd in New York City at the Javits Center. The Pet Industry is booming, are you ready to shine at Super Zoo 2018?